Where can I learn more after completing the tutorials? So I started yesterday and completed the two available tutorials. The web page says there are more tutorials coming soon, but I don’t know when soon is and I don’t want to sit on my hands. Is there a better way to learn and understand all of the conditions and actions of the event system other than just dicking about with them? Is there documentation where they are fully itemized and explained? Anyone have a blog or youtube with their own tutorials? With that approach I’ll be constantly bombarding the forum with endless questions… A shame there isn’t better documentation available, but I suppose it is a beta. will you know everything about a job before start working?? it’s impossible, there is always something to learn. You can either start crafting your own game, or you can edit/add features to the examples. Making a complete game requires A LOT of work. If you get stuck somewhere, just skip that part and work on something else. Or you can choose to investigate the issue until you figure it out. Up to you. Spamming the forum won’t get you far. Is there a better way to learn and understand all of the conditions and actions of the event system other than just dicking about with them? On the whole, conditions and actions are not so hard to understand, but it takes practice to fully understand how the system works (priority, order, scope, groups, layers, cameras, etc.). Yes, there is documentation. You can access it by clicking on the question mark icon when editing conditions/actions. Would you try to fix a cruise ship without knowing the first thing about mechanics, engineering, power tools or hand tools?.. Yes, you can learn by doing. In fact that is my prefered way to learn. However… there are smarter ways to go about it than just fumbling around in the dark and then asking for help when you get stuck. I’ve come over from using the Stencyl engine where each and every aspect of their snap-block code system is available to reference on the website. So first you can try to do something while referencing the manual before asking and relying on help from other users and waiting for an answer you could have just looked up in a manual. Thanks, I’d somehow missed that. I’ll have a look see now. I referred to the documentation for Stencyl (a different engine with different systems) as I needed to. Then asked for help on the forum only when I still couldn’t get things working. I followed them and learned as I went. Even paid for a course on Udemy. Seemingly there isn’t much of such resources around form GDevelop yet. Which lead me to making a post asking if anyone knew of something useful to help me along. I haven’t read the documentation for GDevelop. I’ve only followed the two introductory tutorials. I wasn’t aware of how to access the rest of the documentation until Gruk mentioned the Question Mark icon. I guess I missed that because the help icon was all the way at the bottom of the screen away from where I was adding the conditions and actions. That will help me a bit but further tutorials would be more useful at this stage, but I’ll deal with what’s available. I also support the idea of “learning by doing”, however for someone new to game development with no programming experience, it can be indeed difficult to get started. I remember when I started I was also looking for tutorials that essentially show me A to Z everything because I simply had no clue what am I supposed to do. I didn’t know anything at all but then I got only more confused when I started to make games by following tutorials. Tutorials show how to make a game can be useful but a huge mistake for a complete beginner. Some of these concepts are hard to understand on their own, it is more simple if you can put it in to context by developing something but it should be not a complete game at first but a small project. What project? Take a look at the examples included with GDevelop. When I was developing the examples shipped with GD5 it was my intention actually to try to help people put some of these concepts in to practice and help to get started. So take a look at the examples while also read the docs, and try to break each project down to it building blocks and understand how they work and why they work. I also tried my best with the comments. Once you understand each individual component, the next step is to start developing a game but try to be realistic. You don’t want to make an RPG or a sandbox survival MMO for your first project. Keep it simple and realistic, this is why I was including small projects like the Asteroids, Keyboard Practice, Candy Dragon. These kind of small projects even though they are not very exciting or advanced but help you to learn how everything comes together in a game. At least it was my intention with all the GD examples I shared. I know it would have been more useful if I made a small written or video tutorial for each, I was considering to make a complete tutorials series out of them, start at the beginning and move up to a complete game but I did not have the time after but I hope the examples are still useful on their own. It’s a steeper learning curve but I get the kind of guidance I’m comfortable with. Thanks and good luck with your projects. I’ve decided to learn Godot…I get the kind of guidance I’m comfortable with. Another mistake I made when I was getting started is engine hoping if I did not find the solution or did not understand something. What I learned the hard way is that, whatever engine you use there always be something that is not documented and there is no tutorial about it and if you ask on the forum you may get no answer. The sooner you learn to find your way around on your own the better and if there is any engine out there that suit you, got the features you need and you like the workflow, just stick with it and learn your way around it. Skipping an engine only because of lack of tutorials is another huge mistake I made. Having said that, in case you don’t mind coding, Godot is a brilliant engine and also very popular so it is going to be no problem to find lots and lots of tutorials and guides but even with Godot you definitely going to find a few things that may going to require a little more explanation but you find none. As usual it is pretty basic staff but I hope it will be useful for some. I plan to release all GDevelop examples for Godot (C#) and more. What I learned the hard way is that, whatever engine you use there always be something that is not documented and there is no tutorial about it and if you ask on the forum you may get no answer. even with Godot you definitely going to find a few things that may going to require a little more explanation but you find none. Sure, however those are obstacles which can be overcome once I’ve practiced the fundamentals, have a general understanding of the nature of the beast and therefore have the skillset required to troubleshoot and problem solve. Agreed; but the way to do that is not by reinventing the wheel. A tradesmen’s apprentice also ‘learns by doing’ but they’re not handed an assortment of complex tools and told “Just give it a go, how hard can it be? Oh and if you run into trouble just ask a mate.” They’re instructed every step of the way until they gain the knowledge and competency they need to go out on their own. I’m not trying to offend but you guys are programmers, people who deal in nothing but logic yet what you’re advocating in this thread is honestly illogical… I think it’s possible that some of you have been programming so long that the idea of starting out with no skillset has become too alien and unrelatable for you. When you learned to swim did you attend swimming lessons or did they throw you in the ocean and say “Swim.”? While some people may have actually learned to swim with the latter, cruder method and while it may have been the fastest way to learn I would wager that there probably would have been better, and most likely, less stressful ways to learn. What I can say without wagering and with absolute certainty is that different methods are better suited to some people than others. There have been numerous studies documenting how school systems are failing people due to their ‘one size fits all’ method of educating. I for instance am one of the minority of people who take in information better audibly, rather than visually. It’s for that reason that I am using a text to speech engine to assist with my learning of the Godot manual. I’m finding Ariel Manzur’s ebook extremely useful and easy to digest. It’s broken down into a way of learning which suits me. Also, since GDscript is very similar to Python at a later date it will be a hop skip and a jump to learn Python syntax leading to possibilities outside of the Godot engine. Another mistake I made when I was getting started is engine hoping if I did not find the solution or did not understand something. Okay… That isn’t what I’ve done, though. I left Stencyl because updates to the engine are too few and far between. Major problems with the engine are floated in the forums and they will do their best to not address them; advocating the use of user made extensions rather than make a change to the official build, or maybe even simply stating “We have no intention of doing anything to fix that issue at this time.” It feels like a project which is barely being kept alive with the bare minimum effort. "Stencyl’s snap together code blocks is a really cool system but the engine’s updates are few and far between. I feel like it has a limited shelf life, esp. since Flash is it’s backbone. Construct 3 is really nice but the free version is extremely limited and who wants to pay when they are just learning and not actually developing yet? GDevelop is much the same as Construct but 100% free. However there is little in the way of learning resources available. The advice given on the forums was to just give it a go… Fumbling around in the dark is not the best way to learn IMO. Game Maker Studio is probably the best of the WYSIWYG editors because of it’s ability to easily jump between no code mode and coding mode and for advanced users. However the coding mode uses it’s own proprietary language which has no uses outside of GMS. Also it’s not free. Unity is capable of creating 2D games however it’s somewhat of a psuedo-2D… Kind of projecting 3D onto 2D. Despite the ample amount of tutorials around I think it’s a time sink with poor work flow. 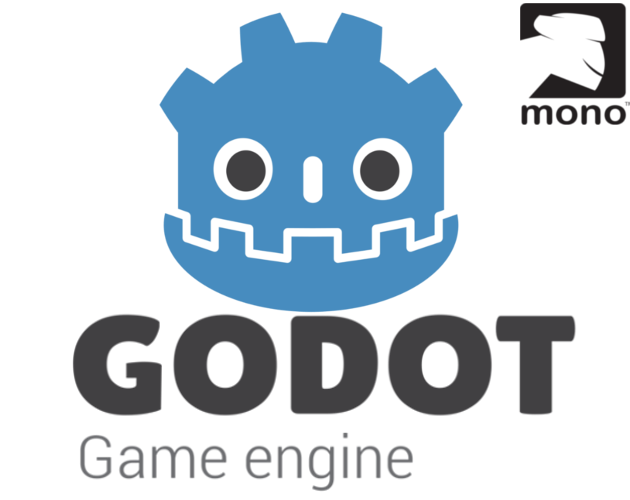 Godot is free under MIT license (free to use and free to publish). It supports several languages. It’s capable of 2D and 3D however unlike Unity or Unreal engine their 2D is independent of the 3D. It’s interface is quite intuitive and easier than Unity to learn IMO. Also it’s availble on Steam (auto updates) and the ebook I’m using has a fair chunk free so you can try it out without spending anything." The way I see it, maybe I’m wrong and this conversation is just the pointless goings on of a novice starting out and making mistakes. Or maybe I’m right in which case plenty of other people are making the same call as me and going elsewhere rather than with GDevelop because they aren’t comfortable learning the way you think they should. In which case you and 4ian might want to make a series of progressive tutorials a top priority. Differences aside, thank you for the link. what you’re advocating in this thread is honestly illogical… I think it’s possible that some of you have been programming so long that the idea of starting out with no skillset has become too alien and unrelatable for you. Well, after getting more experienced with multiple game engines and programming languages, I admit, it is become much more simple for me to pick up a new game engine by reading the docs only and take a look at some examples. However I still remember all the pain I was going through, trust me, it is hard to forget. Most of the pain I had was coming from the fact I did not even know what a sprite or a variable is and I was waiting for the answers to come in form of tutorials and guides, I was waiting for someone else to come and tell me step by step what to do, how to make a ‘game’ and it was a mistake because often these tutorials did not explain basic concepts or answer the question “why?”. which only cause confusion for complete beginners from my experience. You must know and understand the basic concepts first before trying to make a game, I think we agree on this bit at least. However, with all the memories I have from my beginner time, in my opinion the official beginner tutorials, examples and the information in the doc is more than enough to get started with GDevelop and learn the basics. The concept of GDevelop is very simple. You have objects, each object share common properties like position, scale, angle and each have their own unique properties like sprite can display an image, text can display fonts…etc The behaviours can be used to add more properties to your objects that helps to simplify creating some logic like platformer controls, top-down controls…etc The events allow you to create your logic as simply as “If this button is pressed then Delete this object”. Expressions allow you to access properties of object like position, text, name…etc dynamically. Loops allow you to repeat a set of instructions a set of number of times or while a certain condition is met. Honestly it can’t be more simple than that and all this have been explained in the doc in more detail. So maybe it is not valid for other engines but GDevelop allow you to go and try staff on your own, don’t need to over-complicate it, If you can read english, you can start using GDevelop but as I mentioned, need to be realistic and need to avoid high expectations for how long it going to take to make a game. Even with a tool like GDevelop you going to need more than just few months if you only getting started. An then If you still have any questions, you can go and ask question on the forum, this is why the forum is here. there is nothing wrong with asking questions, if anything missing from the docs, it is ok to come here and let us know what do you think is missing. “more tutorials”? But what exactly? If you don’t ask questions, we don’t know what info to share. “everything A to Z”? Yeah would be nice to find the free time, but since we don’t have it the only thing we can do is answer questions that being asked, in case it is important, we may decide to put it on the wiki or create an example or both and very few people also (did or do) make Youtube tutorials, you can find links to them on the wiki. Logical or not, this is the best we can do I’m afraid.